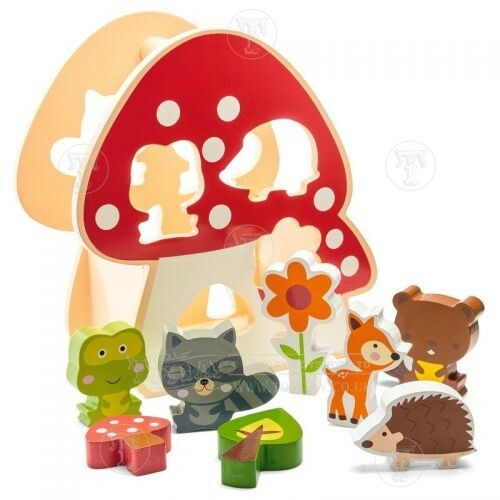 A wooden shape sorter shaped like a toadstool. 17 cm. Suitable from ages 2 years and up.